The tax-deductible superannuation contribution boundary or cap is now $25,000 for all individuals below the age of 75. Individuals over 65 need to fulfill a ‘work test’ to qualify. The benefits of making the maximum tax-deductible superannuation contribution before June 30, 2018 is that superannuation contributions are taxed at between 15% and 30% compared to personal tax rates of between 34.5% and 47%. Typically, freelance folks and those who earn their income primarily from passive sources like investments make their super contributions close to the end of the financial year to claim a tax deduction. However, this is the first financial year that individuals who are employees may also use this approach. Individuals who may want to take advantage of this prospect include those who work for an employer who does not allow salary sacrifice, those who work for an employer who do allow salary sacrifice (but it’s disadvantageous due to a decrease in entitlements) and those who are salary sacrificing but want to make a top-up contribution to utilise their full concessional contributions cap. The income threshold at which the supplementary 15% (Division 293) tax is payable on superannuation contributions has reduced from $300,000 to $250,000 per annum effective 1 July, 2017. Where it is obligatory to pay the supplementary tax, making super contributions within the cap is still a tax effective strategy. With super contributions taxed at a supreme of 30% and investment earnings in super taxed at a maximum of 15%, both these tax points are more favourable when compared to the highest marginal tax rate of 47% for individuals. 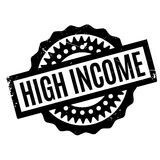 If you are a low pay earner and earn at least 10% of your income from employment or carrying on a business and make a ‘non-concessional contribution’ to your superannuation, you may be qualified for a Government co-contribution of up to $500. If your marginal tax rate is 19% or more, salary sacrificing can be an real way to boost your superannuation and also reduce your tax. By putting pre-tax salary into superannuation instead of having it taxed at your normal marginal tax rate you may save tax. 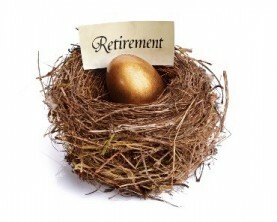 This can be particularly beneficial for employees approaching retirement age. A SMSF may provide substantial tax savings – but they are not for everybody. With the end of the financial year coming near now is a good time to discuss the pro’s and con’s of a SMSF to evaluate whether it might be suitable for your circumstances. It might be appropriate to establish a SMSF in combination with other tax planning opportunities so talk to us today.